Urban Decay is beauty with an edge. It is feminine, dangerous and fun…appealing to anyone who relishes their individuality and dares to express it. From brazen shade names and an insane range of colours to innovative (and ultra-long lasting) products, we have an endless array of high-performance cosmetics that include best-selling palettes, unique eye makeup, high performance foundations, primers and setting sprays that give makeup serious staying power. 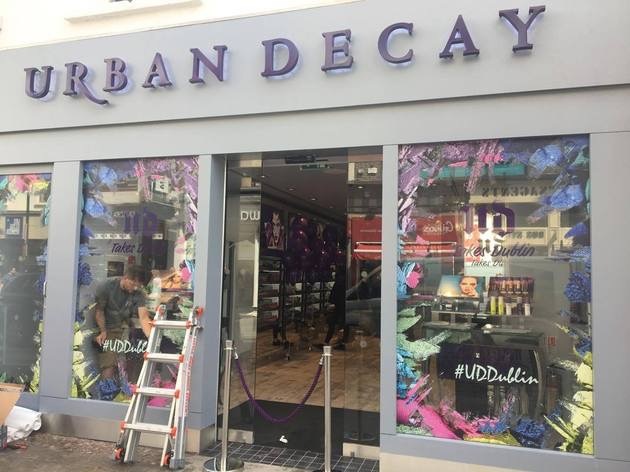 Revolutionising the beauty industry for over 20 years, Urban Decay is now proud to announce the launch of our very first Irish store on Dublin’s Grafton Street. 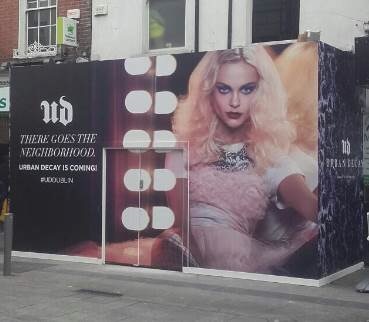 The ultimate manifestation of our beauty with an edge mantra (and equal parts feminine, dangerous and fun), our Irish boutique will be like no other store you’ve ever seen. From the moment you step inside, you’ll feel like you’ve died and gone to a luxurious UD wonderland. Our co-founder and Creative Director Wende Zomnir always says that makeup is about self-expression and our new store takes that theme to a whole other level. When we say we went all out, we mean it. From exclusive UD makeup and boutique lifestyle products you won’t find anywhere else, to gorgeously extravagant fixtures. We’re talking ten makeup stations over two floors and reclaimed wide-beam flooring to counterbalance all the chrome fixtures and keep the space warm and inviting. Our pad also includes a UD Lounge on the first floor, which houses a ring of light selfie wall with interactive screen to share photos within the store and on your own phone. 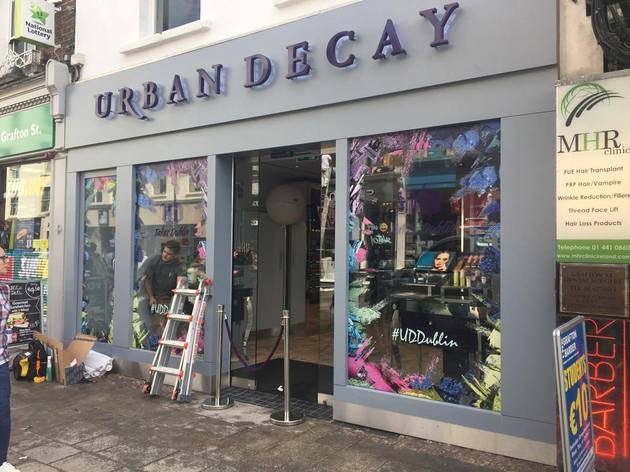 where you can upload photos of your new look online, and an Instagram screen on the ground floor, where we’ll share all your Urban Decay love. This new space is more than just a store; it’s the ultimate beauty hangout. 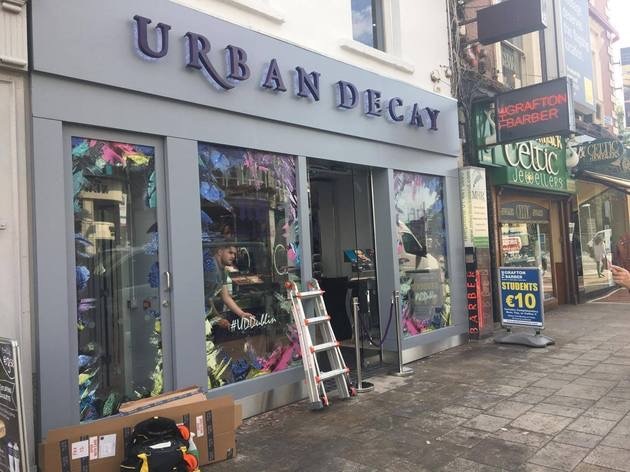 Urban Decay’s very first Irish boutique, located at 50 Grafton Street, Dublin 2, opens to the public on Thursday, 22nd June 2017 at 10am.